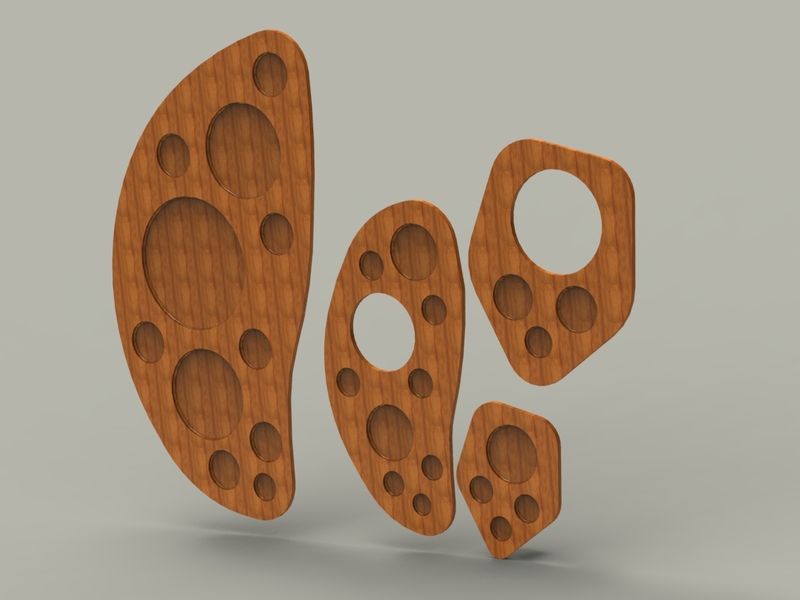 These parts are 2 sets of sound hole covers, 1 set for an ovation 6 string guitar, and 1 set for an ovation mandolin, both having the Adamas style of sound holes. The covers are used to help with humidity control, to keep the wood tops from warping. These covers provide a means to keep the moist air inside the instruments when they are on kept in relatively dry conditions for extended periods of time. The holes allow for a flexible humidifier, similar to a Dampit brand humidifier, to be inserted into the cavity of the instruments as the source of moisture. A much more stylish option to protecting these types of instruments over stuffing the holes, or covering them with a cloth.